When Does the Time Change in Fall? During the fall season, the clocks fall back on November 4, 2011, which is the end of the season for daylight saving time. The clocks are changed at exactly 2:00 AM, giving people and extra hour of sleep. 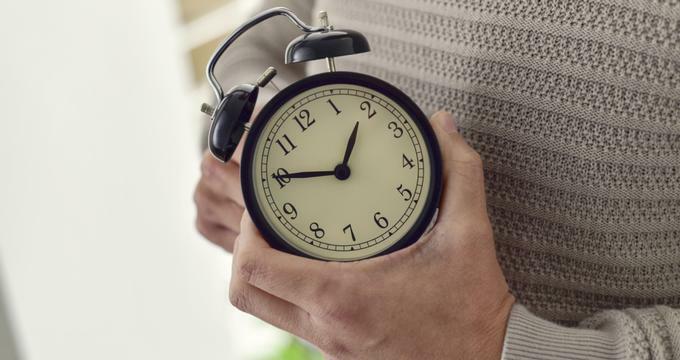 March 11 marked the day when many Americans set their clocks to move an hour in advance as the country starts daylight saving time (often erroneously referred to as daylight “savings” time) for the year, allowing everyone to have an extra hour in their days. During this time, clocks change during the fall season to help everyone conserve energy, even though people continue to lobby before the Senate to ultimately stop the practice. Here’s a quick look at when DST starts and ends in the year, how it all started, and why we continue to observe it. There are also some facts about it you might be interested to know about as well. Below is a look at when daylight saving time starts and ends during the year, its history, why we have it now and some myths and interesting facts about the time change. Daylight saving time has historically been set during the summer months and ended during winter, although the official dates change from time to time through official legislation. Since 2007, DST starts in the US on the 2nd Sunday of March. By then, people will have to move their clocks an hour forward at 2:00 AM on local standard time. As a result, the clocks will then read 3:00 AM. It will then end on the 1st Sunday of November, when people move the clocks back at 2:00 AM so that it will read 1:00 AM. In the year 2017, DST started on March 12 and went on until November 5. The person you should thank (or blame, depending on your point of view on the matter) is Benjamin Franklin. He came up with the idea of resetting clocks during the summer months as a means of conserving energy such as coal. By pushing the clock an hour in advance, people were able to make use of the extra daylight hour rather than having to consume energy on lighting. Even then, DST was yet to be official. It still took a century for it to take effect. Germany didn’t have DST until May 1916, which they started in order to save up on fuel back when it was still World War I. This was followed by the rest of Europe. By 1918, the United States followed suit. Soon, WWII ended and the question of whether DST was to be continued became a concern again. But this time, the US gave its different states and towns the option to observe DST or not, thinking it would be a better solution for all. Unfortunately, they were wrong, as it caused its own brand of chaos. In fact, they had to legislate the Uniform Time Act in 1966 just to set things in order. The law provided that any state which observed DST (of the state’s own choice, of course) would have to follow a uniform protocol. Back then, the protocol was that DST would start on the 1st Sunday of April until the last Sunday of October. Then came the Energy Policy Act of 2005 (which came to effect only in 2007). The law expanded the period of DST to what it is today. Why do We Still Observe DST? Sources show that less than 40% of the word actually observes DST nowadays. That means, however, that 60% of the world’s countries still do. Much of this is because of their geographical location. When the Earth moves and cycles through winter, spring, and summer, the days tend to get longer because of the way the planet is angled relative to the sun. This is also the reason why some countries have four seasons while others don’t. As a result of this cycle, regions that are far from the equator or closer to the poles of the Earth have good reason to follow DST. Simply put, they have more or less sunlight than the rest of the world - something that they have to adjust to. Some researchers have also linked DST with reduced traffic related incidents, and this is explained by the fact that fewer cars are out during the dark. Full-time workers also benefit from having more daylight in one way or another. The practice of DST has a very interesting history, and learning about it will definitely make you better understand what otherwise seems to be a strange culture. Until today, people still continue to have misconceptions about DST. Although there are people who are already protesting the practice of DST, the fact remains that some US states still follow it. If you happen to be moving or traveling to a US state, make sure to check if they follow DST and when they observe it. This is so that you can adjust accordingly and don’t end up confused by the time and when people start their day and end their work. Remember, starting and ending DST means moving forward or falling back an hour at 2:00 AM, respectively. For the fall season, the time falls back by an hour, which is when DST season ends.